If you think that Tenacity is the nation’s leading client retention consulting firm – you’re right. How can we make such a bold claim? For over 30 years, we’ve done just this one thing – helping our clients hold on to the accounts they’ve worked so hard to get. That’s it. “If You Think” we’ve gotten really good at it – our clients are saying that indeed we have. 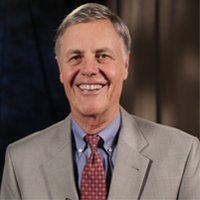 John Gamble founded Tenacity® in 1986 shortly after serving as Vice President of Marketing for the Healthcare Nutrition Services division of Aramark Corporation, Philadelphia, PA. While at Aramark, John was challenged by a lack of available third party consulting expertise to help service companies stem client attrition and improve relationships with existing clients. After leaving Aramark, he founded Tenacity and developed the Clients for Life® Client Retention Process to fill this void. 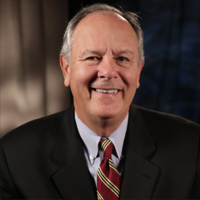 Today, John is widely regarded as one of the nation’s leading authorities on client retention, overseeing Tenacity’s consulting services to companies around the world. Steve joined Aramark’s Healthcare Division in 1984 as Vice President, Sales. John joined a few months later. Together, they came to the inevitable conclusion that “You simply can’t sell your way out of a client retention problem.” Their subsequent focus on client retention has saved Tenacity’s clients hundreds of millions of dollars by reducing attrition and creating loyalty. Along with direct client engagements, Steve manages key planning and brand development functions for Tenacity and, like John, is an acclaimed speaker. John and Steve were appointed as Executives-in-Residence in 2014 at the Coles College of Business at Kennesaw State University where they co-direct The Tenacity Center for Account Management and Client Retention.